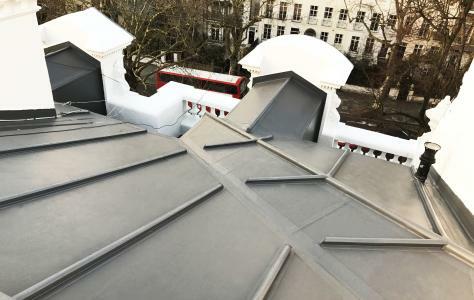 Roof Assured by Sarnafil installer, ROOFPRO London Ltd, was appointed for this interesting project in Holland Park by main contractor IMKO London Ltd.
With huge mansions and a relaxed feel, Holland Park is one of the most exclusive areas of London. ROOFPRO installed the Sarnafil single ply membrane on a Grade II listed building converted into flats and owned by a charitable institute. The original 320 m2 roof was made up of layers of felt and asphalt roofing materials and in a very poor condition. A critical point had been reached with years of patching and repairs leaving the flat roof weak and vulnerable leading to leaks with the potential to damage the interior of this lovely old building. Another repair was not an option – a new roof was needed. 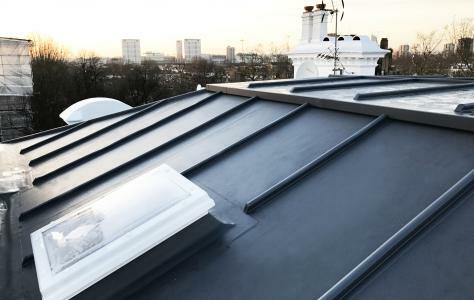 Sergii Drevniak, Managing Director, ROOFPRO London Ltd said: “The Sarnafil single ply membrane was the high performance cost effective solution; a new lead roof would have been very expensive and also too heavy for such a large area. The Sarnafil lead grey membrane, with batten rolls to mimic the look of a lead roof, retained the look and feel of the original roof without compromising the heritage features of this Grade 2 listed property”. Over an eight week window the ROOFPRO installation team stripped down and replaced the old roof section by section with a new Sarnafil cold roof. This staged approach was to make sure that the whole roof was not left open and vulnerable; the roof stayed covered and watertight to protect the flats below which remained inhabited throughout the project. 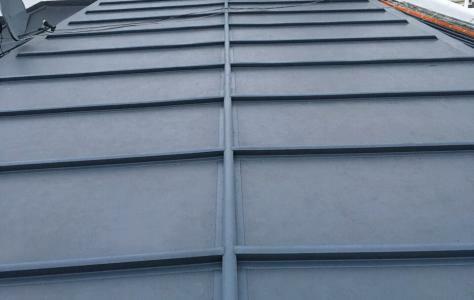 ROOFPRO specified the Sarnafil self adhered membrane. Sergii Drevniak said: “The Sarnafil self adhered membrane was perfect for this project. There was a lot of vertical detailing and fixings around dormers so the self adhered membrane gave us that extra flexibility for installing on vertical surfaces”. To comply with listed building regulations, ROOFPRO renewed old rooflights with matching conservatory-style. For access a new SarnaLite rooflight with access hatch was also installed. SarnaLite rooflights not only achieve the architectural vision of a project but can completely satisfy current building regulations and sustainability targets. Access was always going to be an issue on such a high roof but the ROOFPRO team were lucky to have access internally and combined with a scaffolding tower and were able to replace the entire roof within a relatively short installation widow. Using the Sarnafil self adhered membrane also reduced installation times – it was a case of bring together old and new by using a modern building material for a traditional building. The finished roof was inspected by a Sarnafil Field Technician and signed off for its guarantee.